SUTRA believes that if a collective of people is formed at grassroots level and their capacity is built through an integrated approach, then one can have true democratic governance. Local Self-governance has been SUTRA’s longest running program (over 20 years) and has improved the life of hundreds of women. This is first achieved through the empowerment of individuals by means of training, better access to information (such as relevant laws and articles of the Constitution) and skill building (leadership). As a result, the community is then itself empowered to achieve its common aims. While conducting Legal Literacy Camps for women from Mahila Mandals, it was noted that the gender blindness of the members of the Nyaya Panchayats, made the pursuit of justice an illusion for women. SUTRA started engaging directly with the Gram Panchayats since the mid 1980s when they took up the task of ‘democratization the Gram Panchayats’. Elected women representatives were helped to understand the legalities of the Panchayat in order to function effectively in the governing process. The work with Panchayats intensified towards 1993-94 after the passing of the 73rd Amendment. SUTRA plunged into the designing and development of training material for women elected members of the Gram Panchayat in order to address the lack of legal know-how and increase their effective participation. A series of workshops, seminars and meetings were organised not only with various representatives of the Panchayats but also with other voluntary agencies which helped SUTRA to build an understanding about the ground realities. Various booklets were brought out to acquaint people about the clauses of the Nyaya Panchayat and the HP Panchayati Raj Act, 1994 as well as the roles and responsibilities of the Panchayati Raj bodies. Panchayati Raj Resource Centres were opened in five locations to assist Zilla Parishad members in interacting with Gram Panchayat members, Block members and the general public. Panchayat Mandalis were formed in 1997 with the dual purpose of ensuring transparency and people’s participation in local governance and to support elected representatives. Over the years, owing to the various initiatives stated above, women’s attendance in the Gram Sabha meeting increased. However, when ‘women’s issues’ were raised in the meetings, the Panchayat representatives paid no heed to them and did not record their issues in the proceedings of the meetings. Suggestions from women and deliberations pointed to a solution- that there should be two Gram Sabhas exclusively for women. These will provide them a platform where they can freely express their views and discuss their problems openly. This platform will be exclusively for women, which will lead to their empowerment. Following these meetings, a memorandum was prepared and addressed to the Chief Minister of Himachal Pradesh. A signature campaign was undertaken to garner support for this demand. 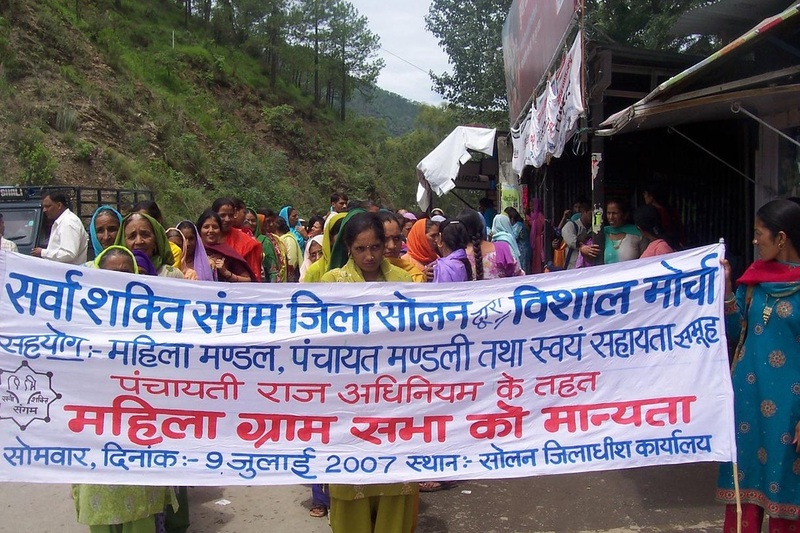 In the month of July 2007, women undertook rallies to the Tehsildar/ Deputy Commissioner’s Offices in their respective districts and the memorandum signed by more than 9000 women was submitted. SUTRA and its partner organisations supported the women in this endeavour. 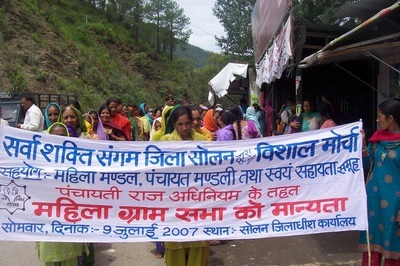 The efforts of SUTRA and its partner organisations as well as the overwhelming participation of the women over the four months bore fruit when the Government of Himachal Pradesh took cognizance of their demand and issued a notification stating that a Mahila Gram Sabha was to be convened on the 23rd of September 2007 in all the Gram Panchayats of the state. Since then along with partners, SUTRA has been instrumental in conducting and supporting MGSs in various districts across the state. While the state machinery was unresponsive after the initial memorandum, the efforts on SUTRA’s end have led to the creation of an important platform for women in Himachal Pradesh. In October 2006, the Protection of Women from Domestic Violence Act 2005 became operational. The question posed before SUTRA was how to make this Act applicable and implementable in Himachal Pradesh (given its peculiar conditions). 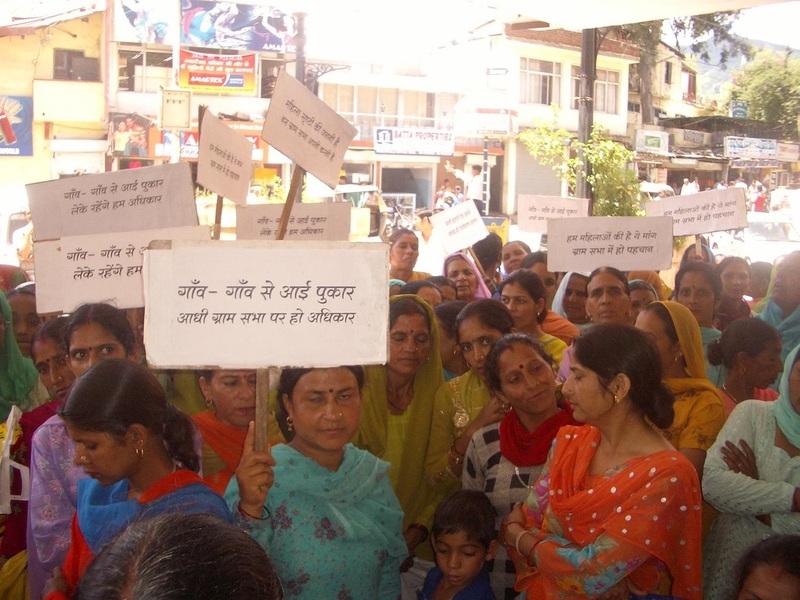 Exploring what is accessible and affordable to women of Himachal Pradesh, led to the understanding that the first port of call for women faced with violence is Panchayat. Further investigation found that Himachal Pradesh had provision for an institution called Nyaya Panchayat way back in 1952 and made seeking of Gender Justice for women – accessible and affordable. Over a period, the Himachali communities accepted that a woman has a right to approach Panchayat if she has faced violence in her matrimonial home. Thus SUTRA decided to explore the present strength and weaknesses of this institution (Nyaya Panchayat) - that has become part of Gram Panchayat since 1978- and find out whether Panchayats are true institutions to provide Gender Justice and if not what can be done. This exploration was at two levels: one at structural and secondly at conceptual. This lead to a report called “Nyaya Panchayats and Gender Justice”. SUTRA has since advocated for autonomous Nyaya Panchayats which are sensitive towards gender justice. An on-going research project, in partnership with organisations from Bihar and Madhya Pradesh examines at the institutions of Gram Nyayalaya, Nyaya panchayat (Himachal Pradesh) and Gram Kachchari (Bihar). The aim of the project is to generate knowledge to make these institutions vibrant enough so that socio-economic rights are available to vulnerable communities at the grassroots level and advocate for changes in them.